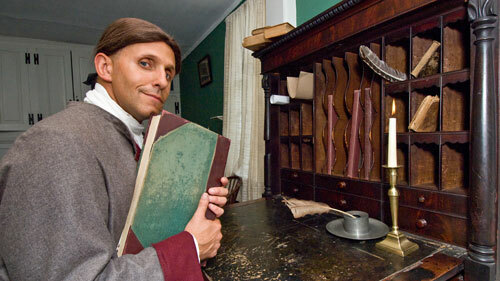 Perhaps best known for the detailed diary he kept, Simeon Perkins provided a faithful record of his life and times. As in the excerpts above, his diary provides vivid detail about what life was like in Liverpool from 1766 to 1812. Today, the information recorded in Perkins’ diary finds new life through the exhibits and interpretation of Perkins House Museum, part of the Nova Scotia Museum. In his diary, Perkins kept a careful record of births, deaths and marriages; faithfully recorded the weather; and often commented on religion, the war at sea, and public affairs. The Diary of Simeon Perkins was published in five volumes by the Champlain Society and edited by H.A. Innis et al, but the book is currently out of print.